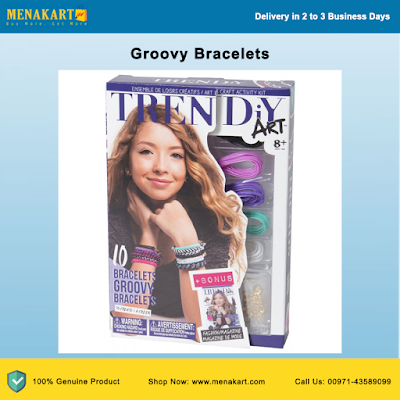 Trendiy Art is our line of art and craft activities for tweens and teens and is all about making cool jewelry and fashionable accessories for varying occasions. This includes a fashion magazine, a regularly updated website, activities through social networks and video tutorials a drive for completing the experience. You will be able to create 8 diamond bracelets with this kit.